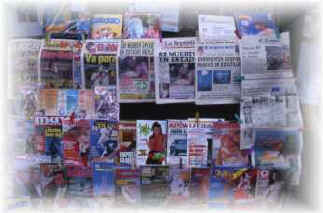 We list on this page, travel and tourism newspapers, magazines and reviews. Their main theme can be very different, going from the magazine about islands or water sports, to non-specialized magazines, professional or geographic magazines. Nevertheless, a common point will always bind these various magazines: the tourism or the islands. These reviews can be published anywhere in the world, but we shall only present here, the reviews published in English, in French or in German. An individual page, for each magazine, shows you, its characteristics, its thematic, its coordinates, as well as the information to subscribe and if need be, the special offers reserved for "The World of Islands" Internet users. To find out the contents of these magazines, you can regularly consult our press survey, where we present, immediately after their publications, all the articles of these partner-magazines, which deal with islands or any subjects being able to interest the "World of Islands" visitors. If you are yourself, a press publisher, dedicated in tourism, travel or islands magazines, you can register your publication on the "World of Islands" web site. For that purpose, please complete the foreseen form, by clicking here.